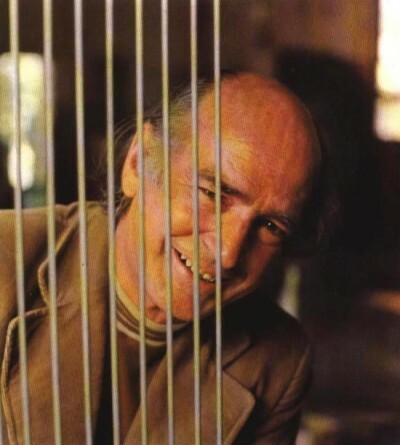 Arieto Bertoia was born on March 10, 1915, in the small village of San Lorenzo, Friuli, Italy, about 50 miles north of Venice and 70 miles south of Austria. He had one brother, Oreste, and one sister, Ave. Another sister died at eighteen months old; she was the subject of one of his first paintings. Even as a youngster, the local brides would ask him to design their wedding day linen embroidery patterns, as his talents were already recognized. He attended high school in Arzene, Carsara, until age 15. He then accompanied his father to Detroit to visit his brother Oreste. Upon entering North America, his birth name Arri, which often morphed into the nickname Arieto ("little Harry" in Italian), was altered to the Americanized "Harry." Bertoia stayed in Michigan to attend Cass Technical High School, a public school with a special program for talented students in arts and sciences. Later, a one-year scholarship to the Art School of the Detroit Society of Arts and Crafts allowed him to study painting and drawing. He entered and placed in many local art competitions. Harry Bertoia Arieto Bertoia was born on March 10, 1915, in the small village of San Lorenzo, Friuli, Italy, about 50 miles north of Venice and 70 miles south of Austria. He had one brother, Oreste, and one sister, Ave. Another sister died at eighteen months old; she was the subject of one of his first paintings. Even as a youngster, the local brides would ask him to design their wedding day linen embroidery patterns, as his talents were already recognized. He attended high school in Arzene, Carsara, until age 15. He then accompanied his father to Detroit to visit his brother Oreste. Upon entering North America, his birth name Arri, which often morphed into the nickname Arieto ("little Harry" in Italian), was altered to the Americanized "Harry." Bertoia stayed in Michigan to attend Cass Technical High School, a public school with a special program for talented students in arts and sciences. Later, a one-year scholarship to the Art School of the Detroit Society of Arts and Crafts allowed him to study painting and drawing. He entered and placed in many local art competitions.